Written by a man who sailed a small yacht across the Atlantic as a teenager, this book combines his recollections of that voyage with the history of marine navigation, and tales from the great British and French explorers of the 1700s who created the modern map of the world. Covers the sextant (of course), the problem of longitude, and the voyages of Captain Cook, Bligh (who suffered the mutiny on the Bounty), Vancouver, and Slocum. 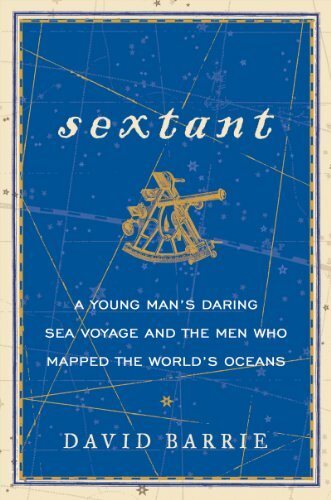 Sextant seems to have been inspired in part by Longitude, and its coverage of the longitude problem feels quite derivative, retelling many of the same stories and anecdotes. However, I found it more balanced in its presentation of Harrison’s chronometer vs. the method of lunars. And overall, the book is more comprehensive, covering the working of sextant and other problems in navigation. If you only read one, I would actually read Sextant. Recommended for the general reader interested in history or sailing and exploration.